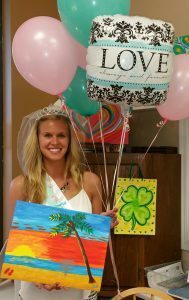 The Smiling Shamrock Art Studio can have parties in your home or a restaurant/hall of your choosing. 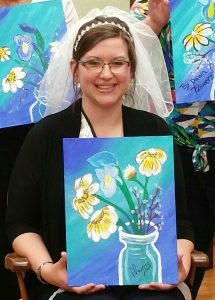 Or I can help you find a venue! We have beautiful Bridal Showers, Wedding Showers and Bachelorette Parties . So plan your next event with us. 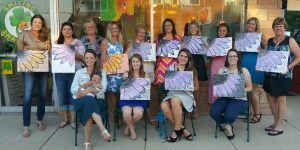 You can choose your own date with a minimum of 8 painters on weekend days or nights (Fri-Sat) starting at 6pm or 6:30 or afternoons, if needed. 6 or more are required on week days Mon-Thursday, with a start time of 6:30pm. 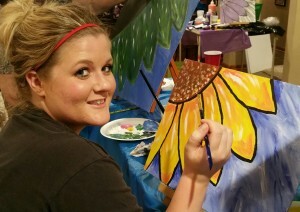 The painting portion takes about 2 hours, some designs run 2.5 hours. We can work within your time frame if you want something quicker. 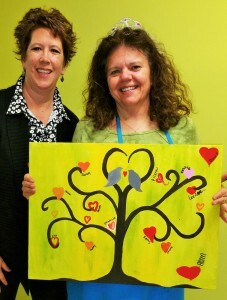 You choose one of 50 paintings that we offer. 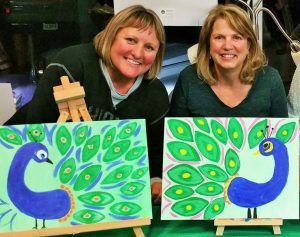 Smiling Shamrock will provide the canvas, paint, aprons, brushes, and the instructors to lead you through your painting party of creativity and laughter. 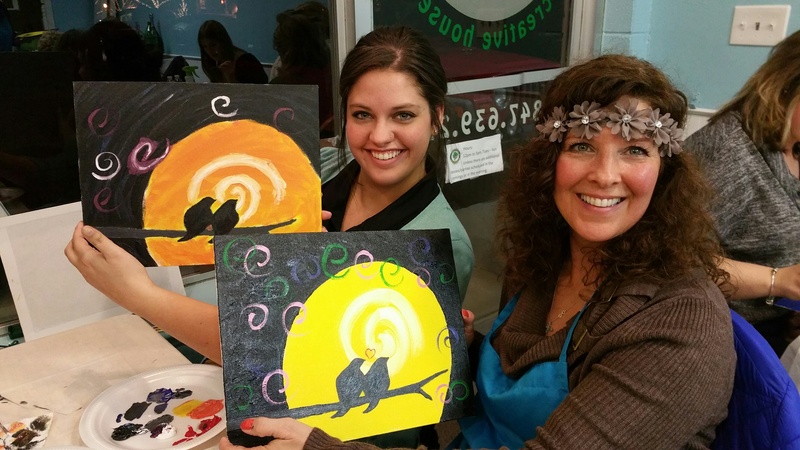 You will have had a fun time with friends and created your own masterpiece! No experience needed! Over 50 paintings to choose from! We can send you choices via email from our brochure (everyone paints the same painting). 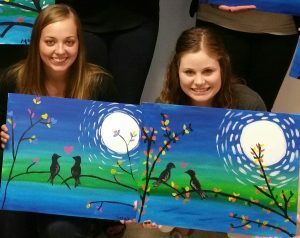 RATES The cost per person is: $26.00 for the 12″ x 16″ canvas, which includes all your supplies and your own canvas to paint and take home with you. To hold a booked party date/time for your own group, a $26 deposit is required. We cover the tables with plastic clothes, but you may want to have themed paper goods, helium balloons or table clothes, please let me know . 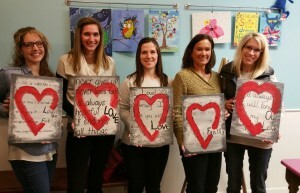 The 30 minutes after you are done painting, the instructor will get the artwork ready to leave and clean the craft table while your presents are being opened or you are eating sweets. At any outside venue, we ask that the attendees clean up or pack their own food, and take or throw away any decorations you brought in. After you place your deposit, an email will be sent with a brochure of all the paintings you can choose from. 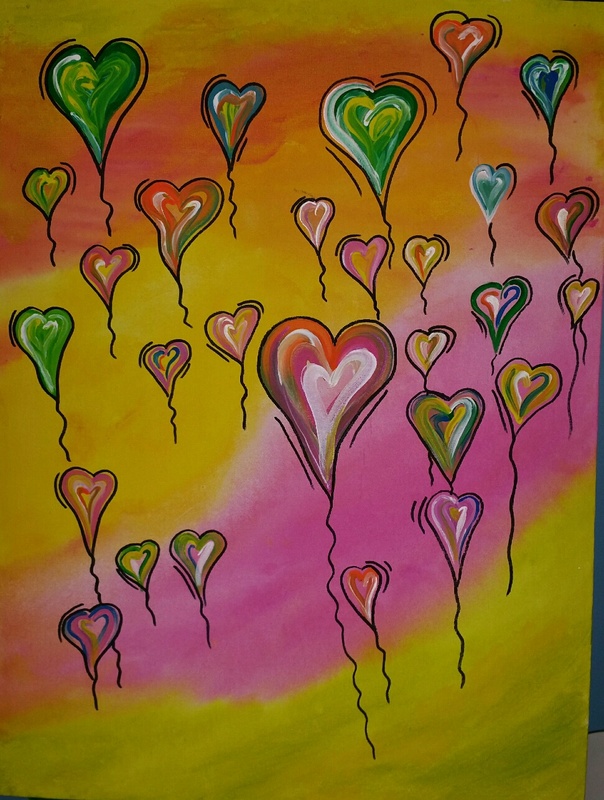 Below are just a few of over 50 paintings you can choose from! 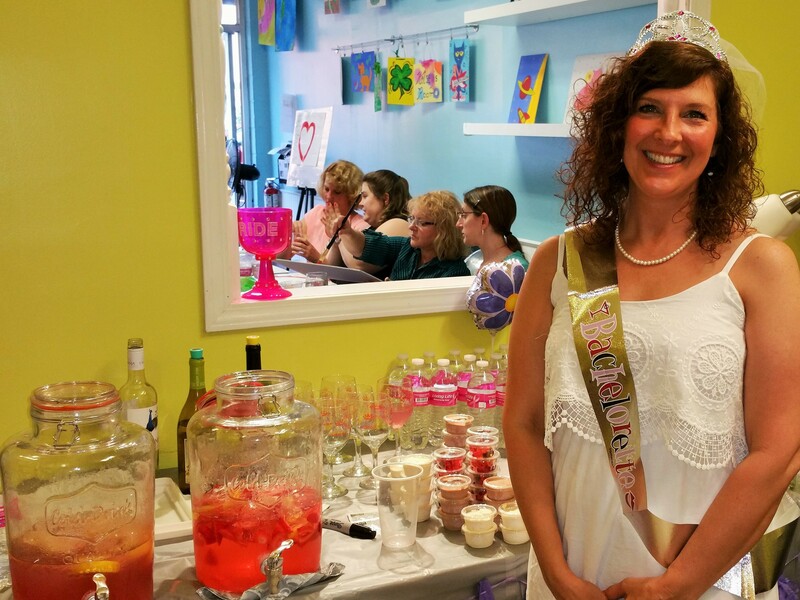 You can add gift to be given by attendees to the person you are honoring. 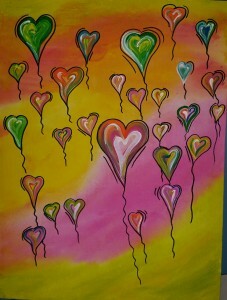 Balloon Flying Hearts or Tree with Love Birds, (painting for all attendees to sign and give as a gift). 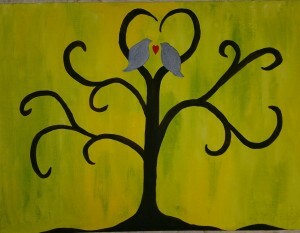 Canvas $40.00 for each design . Painting Gift can be split between all attendees.